DareWear Contest – Holiday Special! Welcome! I’ve got three guesses for why you are here. 1) You’re here for the newest book! If so, congrats! It’s here! Order Book 4 today! 2) Or, maybe you’re here to join the adventure from the beginning. If so, click these bad boys to start with Book 1: Camp Legend. 3) Finally, if you’re just here to find out more, follow the steps below! The Greyson Gray Series follows twelve-year-old Greyson Gray and his loyal group of quirky friends as they are swept into a dangerous world rapidly being torn apart by terrorists bent on dividing the nation. 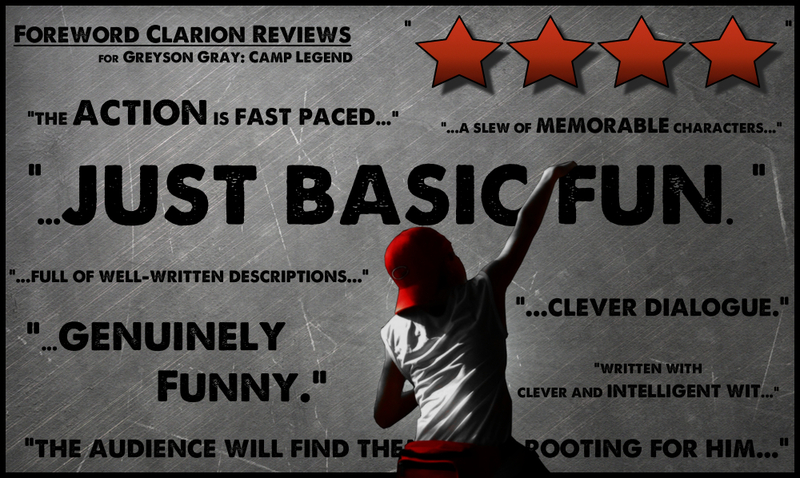 The first book, Greyson Gray: Camp Legend, takes up the story as Greyson meets his friends at a sports camp, discovers a terrorist plot, and dares to stop it. The second book, Greyson Gray: Fair Game, continues Greyson’s adventure as he takes terrorists on at the Iowa State Fair. Book #3, Greyson Gray: Deadfall, follows Greyson as he crosses the country in search of his father. Book #4 – Greyson Gray: Rubicon, introduces Greyson to a whole other squad of characters who help him fight off yet another attack that threatens to ignite a civil war. 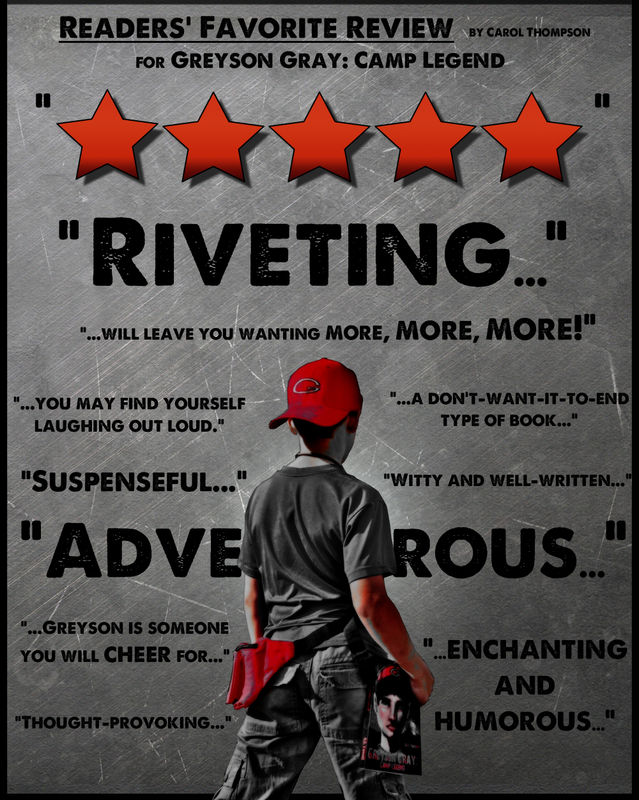 Full of gritty action, witty humor, and even romance, The Greyson Gray Series draws all ages of readers into Greyson’s world. For action-lovers there are horse chases, gun battles, dirt bike stunts, and explosions. For comedy lovers, there are sarcastic quips, crazy characters, and true-to-life hilarity. For romance-lovers, there are awkward first crushes, a tense love triangle, and sacrificial love everyone can root for. Finally, adults often mention that the series feels like a modern day Hardy Boys book with more action. Click an icon for the newest DareWear pictures and contests with cash prizes! Step 5: If you still aren’t convinced, check out the links above for even more about the author, the books, and more. Thanks for visiting! Well done on some fabulous trailers. All the very best with the series. Omg is there a store where I can find it? Sounds awesome! Do you know when your 5th book is coming out and I was wondering how many books you were planing on writing? Thanks for asking! I’m glad you’re looking forward to the next book, but I’m sad to inform you that it’s going to be awhile. The fifth book is currently only in outline form. It could be a year or more 😦 The good news is that there is also a short Jarryd spin-off story that is in the works that may be completed first. In total, I anticipate either six or seven books (I know how it ends but am not sure how long I want to take to get there). Please tell your friends to check out the series! The more readers I have asking about the next book motivates me to put aside my other daytime job’s duties and get to writing! Thanks again for asking! Connect with Greyson and B.C. Get Your Greyson Pack Here! Get your Greyson Hat Here! BIG NEWS: Reviewed by the Biggest Name in Book Reviews! Adventure, Danger, Suspense, Action – What Else Could You Ask For? Join Greyson’s Adventure from the Beginning! PRINT version now on sale! Great gift for the holidays!